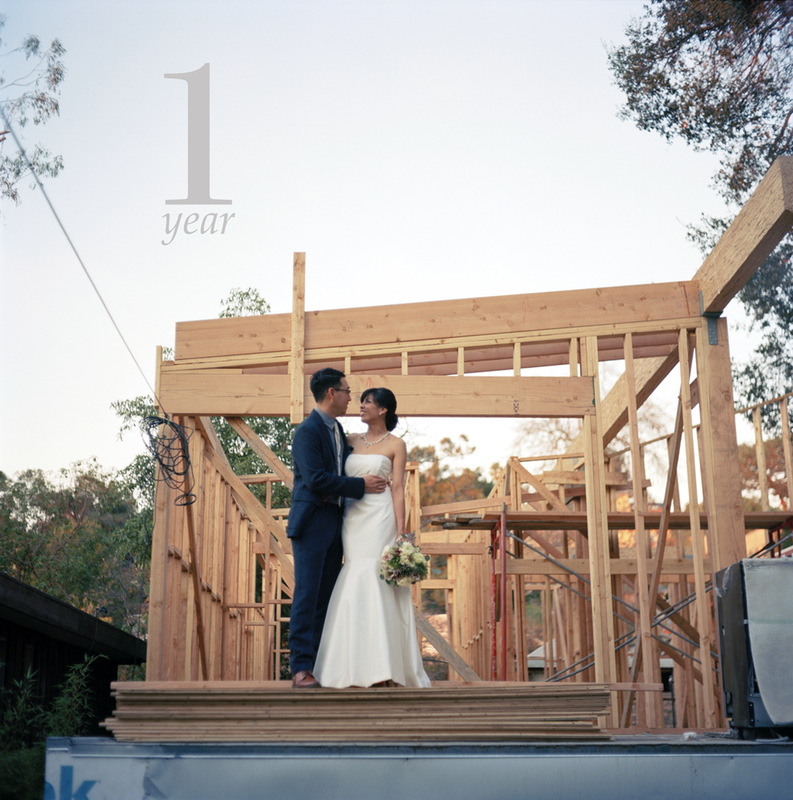 Today, my husband and I celebrate our one year anniversary of marriage! Looking at this wedding photo of us in front of our house already says so much. The house looks so different from what it is now that it's a constant reminder of far we've come in only a year. Putting together our wedding was a crazy time. We planned as much as we could from Germany and had only 6 weeks between arrival back in LA to our wedding date to make the loose ends meet. Throw in the holidays and the down time, it felt like we put a wedding together within a month! Luckily, we have so many friends and family to help that we pulled it off. We're so grateful for our in-house talent! The music, coordination, flowers, decor, wouldn't have been possible. Somehow I thought some things wouldn't change. Ok...Richard and I haven't been together that long to know everything about each other but I thought that I had known him enough to not have any surprises. It's funny how that changes once you pass the threshold of marriage. All the this time I thought "it'll feel the same." A lot of it does- the places we go, the meals we share, the hobbies we like- but there's something inside and in the relationship that changes once you hold hands and make the commitment to be a partner for life. It does feel different and you see differently too. I can't explain it. We are home to each other. It's a blessing not taken for granted.